The expense of buying a home charging station and getting it installed can be daunting. It's a hidden extra cost to buying an electric car. In some cases people try to get along with a loooooong extension cord and charging their EV at home off a regular 120 volt outlet. But recharging an electric car that way can take 20 hours. One alternative is to get the EVSE modified by http://evseupgrade.com - they modify the 120 volt EVSE supplied with the car to run at 240 volts and such. 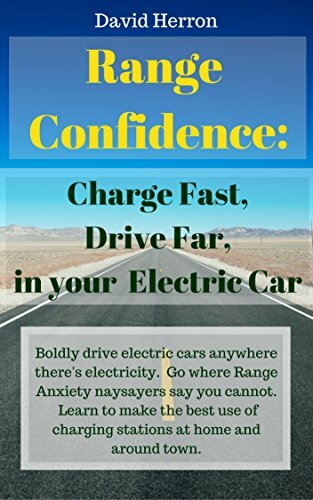 With a portable 240 volt EVSE it can plug into any 240 volt outlet and charge the car at near its full charging rate. However - that does mean modifying and voiding the warranty of the supplied EVSE. Clipper Creek's LCS-25 EVSE supports a 20 amp charge rate, and at 240 volts that's nearly 5 kilowatts. Which is a pretty durn useful charging rate for home charging. In the past that EVSE was meant to be hard wired to an electric service panel and even though it's small/light wasn't supposed to be carried with you. Now, they've introduced a new version of the LCS-25 with pre-wired plugs for NEMA L6-30, 14-30P, 14-50P and 6-50P wall plugs. For a price that's not too much more than the evseupgrade.com price ($549) you get a fully certified portable EVSE that's ready for use on the go. The hardest thing you'll have to do is build adapters for the various power outlets you'll find in the public. Unfortunately 240 volt outlets are not so well standardized that you'll be able to use just the socket that Clipper Creek puts on the end of the wire. Fortunately building adapter cords is trivial.